Cinehouse is the little brother of The People's Movies Blog, covering the independent, Arthouse, International (as well as classic) movie genres. Some of these movies may be major releases in your country and straight to DVD in other parts of the globe but some may only see the light of day at the film festivals around the globe. We also like the weird and wonderful! As we're movie fans we just love to show you what's out there for you to enjoy, laugh at or just simply cringe at. Everything from trailers, movie shorts, interviews, articles, general information anything from the alternative side of mainstream cinema we'll try and cover it! I want to help you guys out! Got movies in need of reviewing? Send me your screeners and ill do the honours for you and if the movie is going to get some sort of cinematical release in UK and Ireland even better. Send over the release date info, same if its a direct to DVD release only. The blogs main aim is to post the best trailers out there, I post anything from Independent, arthouse to international movies from Europe, Africa, Asia, USA, Canada, middle east, oceanic!!! Just send me the embed code, informational on the movie (synopsis/plot, cast, release dates etc. ), jpg of the poster/movie stills and ill post the trailer. We do accept private screening links too, and possibly review for our main site thepeoplesmovies.com too. UPDATE 23rd May 2018 - The European Union’s new General Data Protection Regulation (GDPR) comes into force on 25 May 2018. 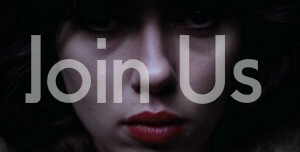 Our website address is http://cinehouseuk.blogspot.co.uk. the privacy of our visitors, suppliers and writers is important to us. Sometimes at Cinehouse UK we run competitions and we may ask for contact information such as names and email / postal addresses sometimes telephones. This information is used only for the purposes of the competition to send prizes. We only supply the information to those PR companies, Film/tv distributors who provide the prizes. All information provided will be deleted within 4 weeks after the competitions started and finished or earlier. All Competitions data you input is via google contact forms (please refer to contact forms section for relevant email details). We will not pass any of these details on to third parties, or use them for any other purpose. For personal security reasons please do not include telephone numbers, unless we ask for them.If you do include those details we will automatically delete your details. Cinehouse we use various number of contact forms which are linked to various website emails. We use these forms to collect the entrees to competitions, apply to join our writing staff, or simply to contact us to ask us to review their release or a simple general question. Google collects name, email, address, potentially other details, those details will vary per form. paul@thepeoplesmovies, thepeoplesmovies@gmail.com, cinehouseuk@gmail.com, editors.tpm@gmail.com, tpmpaperwork@gmail.com.The information is only collected for purpose of competitions or applying to join us or contact us. Like many other Web sites, The People' Movies & Cinehouse UK makes use of log files. The information inside the log files includes internet protocol ( IP ) addresses, type of browser, Internet Service Provider ( ISP ), date/time stamp, referring/exit pages, and number of clicks to analyze trends, administer the site, track user’s movement around the site, and gather demographic information. IP addresses and other such information are not linked to any information that is personally identifiable. 'Cookies' are small pieces of information that a website sends to your computer's hard drive while you are viewing a website. They play an important part of the website, make things run smoothly and every time you visit new info is stored improving your experience (see log files). There is also cookies used by Third Parties, the advertisers. We use adverts by Approved marketing companies such as Google Adsense , Web Gains, Unrulymedia, Viralad Network, Affiliate Window, Viral Planet. At times these partners may use marketing cookies to show adverts of things you maybe interested in, there system is anonymised and will not know who you are only using minimal info to create relevant adverts.